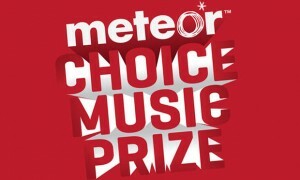 Delorentos » An amazing March: the Meteor Choice, USA, Canada and Russia! We’ve just returned, tired and happy from an amazing month! It started in incredible fashion with the Meteor Choice Music Prize awarding “Little Sparks” album of the year. We couldn’t believe it, and we were bowled over by the generosity and kind words of everyone on the night and since. thank you! SXSW was incredible; with so many performances over a few days, not to mention meetings and information sessions, it’s an intense and disorientating experience, so we were glad to hit Memphis for St. Patricks weekend. And the shows there were great. Unburdened of thoughts of who might be in the audience, we were embraced by an enthusiastic local crowd. Memphis is amazing, enjoying the faded glamour and proud southern life was a real experience. Plus we got a glimpse into Elvis’s life, visiting Graceland and Sun Studios, and later trying our hand at monster burger consumption! The next week was spent in snowy Toronto, at CMW. As well as the gigs we visited Second City comedy club, the Gallery of Ontario and kensington Market. We’d a cool week, discovering new places and bands, and revisiting the places we’d seen when we were here together for the first time in 2005. Moscow was the final leg of our tour, and the most exciting. In -10 degrees we visited Red Square, the Kremlin, the oldest cafe in town with the best cakes and sampled vodka with outrageous alcohol content. And the Moscovites were so much warmer than the outside temperatures. We had a brilliant show in the enormous centre for Arts and also made our first Russian TV appearance. A big thank you to all who made us feel so at home. We can’t wait to come back! As ever, we’re back in the books this month, writing and recording. Keep an eye our for updates….